What About Paris? : Barham, Canterbury, Kent, England. What country hath this isle that can compare with thee? I've been here several times and will return as many times as I can. London lawyer friends live here in this village and civil parish of the City of Canterbury district of Kent, England: a sane and civilized rural way station on the path from Cardiff or London to Paris. Barham is above all ancient, pastoral and undisturbed. Population 1200. It was spelled Bioraham in 799, after Beora, a Saxon chief. 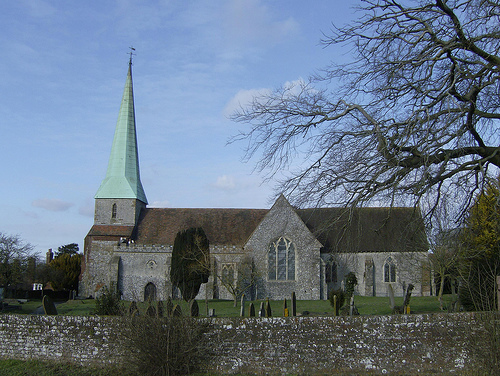 The Anglican village church dates to the 1100s and was likely built over a Saxon church which existed at least by 809. Barham is not far from Canterbury--and local legend has it that one of knights who killed Thomas Becket had an estate here.